We highly recommend utilizing Ally for all of your Canvas courses. It is easy to request Ally. Just fill out the Ally Pilot Opt-In Request Form today! This is the ultimate for student success! 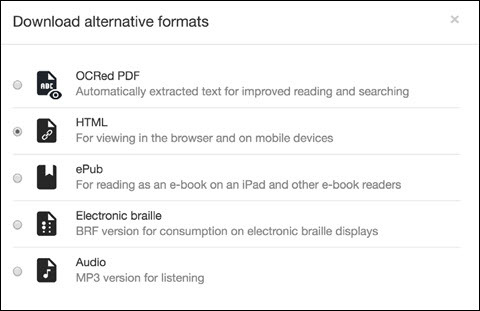 Ally automatically generates these “Alternative Formats” for all your course files, and makes them available for download to you and your students. Your original file will not be affected by the alternative formats. Ally integrates with Canvas, and provides feedback within your course workflow. Once you have opted into Ally, log-in to your course site, and you will find the Ally indicators next to files or content. If you have no course files yet, upload one, and an indicator will appear next to the file name. Click the indicator to view your accessibility feedback. Follow along step-by-step to improve your original file. Below is a quick example of how Ally’s feedback helps you to improve your course content. For more information contact us in the ITC at ITCTraining@arc.losrios.edu.